The winner of the crucial Norwich north by-election won the seat by running a campaign which focused on helping more people get double glazing. 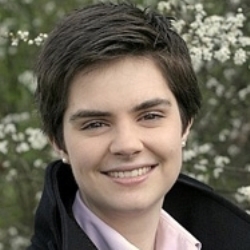 Chloe Smith, a 27-year-old Tory, was victorious after she fought to get the eco-friendly home improvement installed in houses around Norwich. She added that she contacted the council on behalf of the residents to keep the pressure up. The fight to get the energy-efficient home improvement installed in Norwich homes waged on for 18 months and ultimately helped her secure the seat, which was left vacant when Labour’s Ian Gibson resigned after being involved in the expenses scandal. Labour has recently pledged to help homeowners invest in double glazing by offering a Pay As You Save scheme which will loan people up to £10,000 to make their homes more eco-friendly. Anglian Home Improvements, formally known as Anglian Windows, have been successfully selling home improvement products for over 40 years. Visit our homepage for more information on our range of products.